SEATTLE – When Chris Petersen looked back at the reasons No. 9 Washington dropped its season opener, he noted a lot of areas where the Huskies made mistakes. There may be no better way to work on those little details before the start of Pac-12 Conference play than facing an FCS program. Washington will open the home portion of its schedule on Saturday against North Dakota. After a week of smarting because of all the missed opportunities in the 21-16 loss to No. 7 Auburn in Atlanta, the Huskies (0-1) get a chance to get on course before facing Utah, their first conference opponent, next week. 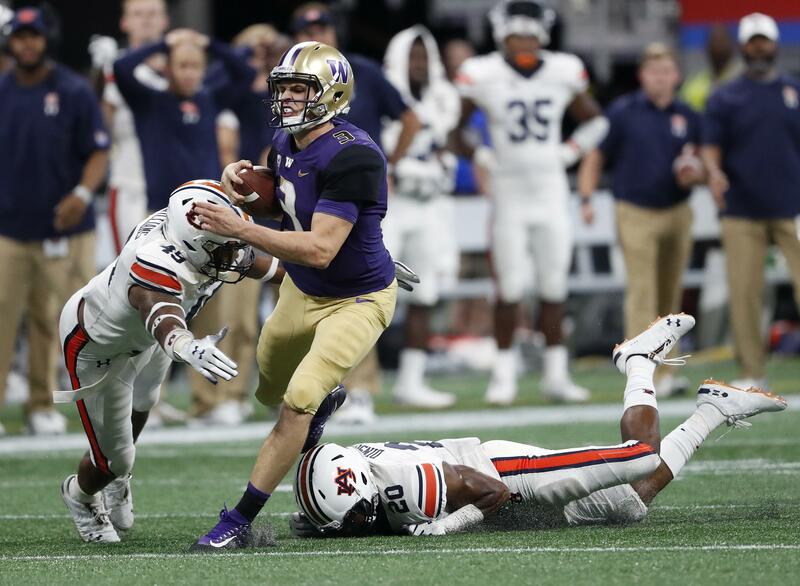 The most egregious mistakes Washington made came deep in Auburn’s territory when the Huskies were unable to convert numerous scoring chances into touchdowns. Washington had just one touchdown – on a one-handed catch by Quinten Pounds – on six drives inside the Auburn 20. New offensive coordinator Bush Hamdan took responsibility for the shaky play calling on those red zone possessions. The visit from North Dakota should provide an opportunity for the Huskies to simplify the play calling and focus on execution. The Fighting Hawks (1-0) opened the season with a convincing 35-7 win over Mississippi Valley State. The trip to Seattle means they’ll receive a nice payday and a chance to play against an elite program, but they understand the challenge awaiting them. Washington quarterback Jake Browning threw for nearly 300 yards in the opener, but he made a handful of costly mistakes and wasn’t at his best on the Huskies’ final possession. He’s unlikely to play the entire game against North Dakota, but the Huskies would like to see Browning continue to develop his relationship with a new batch of receivers that showed promise in the opener, including Aaron Fuller and Ty Jones. Published: Sept. 7, 2018, 6:58 p.m. Updated: Sept. 7, 2018, 10:48 p.m.